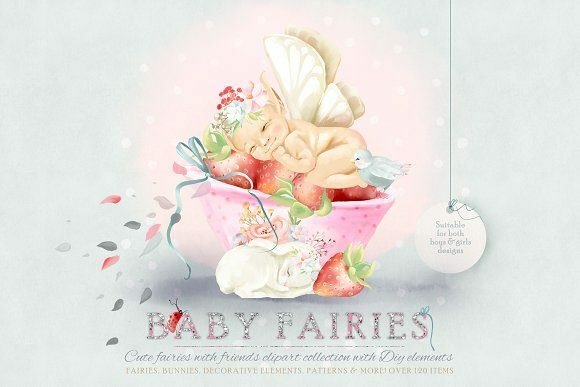 Baby Fairies – Cute little fairies with friends – Create your own once upon a time scene! Fairies, bunnies, DIY elements, tileable patterns and more! 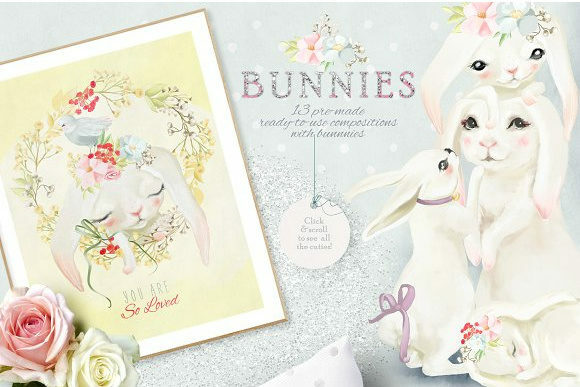 Over 120 cutest items! 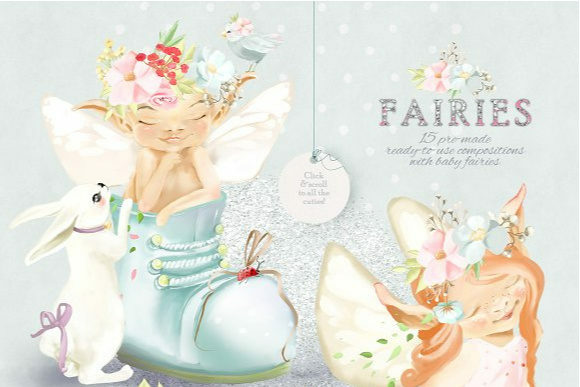 The kit is suitable for both – girls and boys designs – includes baby fairies, bunnies & a little cute bird and huge amount of pre-made ready-to-use compositions! 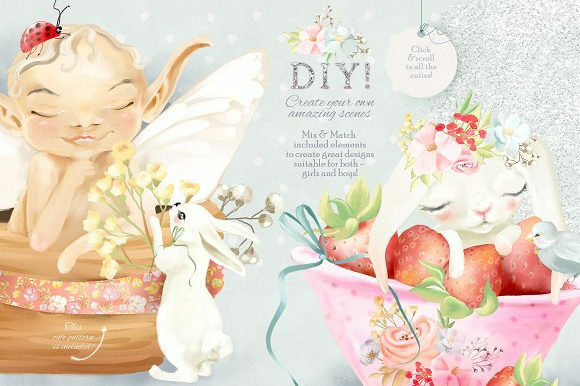 Endless possibilities to create your own scenes and compositions with included DIY, background and floral elements as all the fairies and bunnies available as plain easy to use versions. 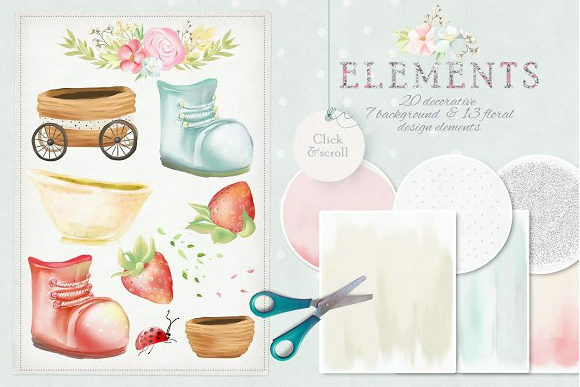 Mix and match elements to create amazing baby designs! I’ve included a layered PSD sample compositions to show how it works. 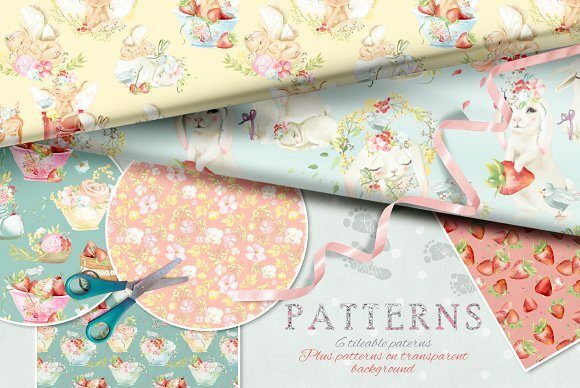 Beautiful tileable patterns are available as PNG files on transparent background as well, you can use this versatile kit for any kind of baby designs! 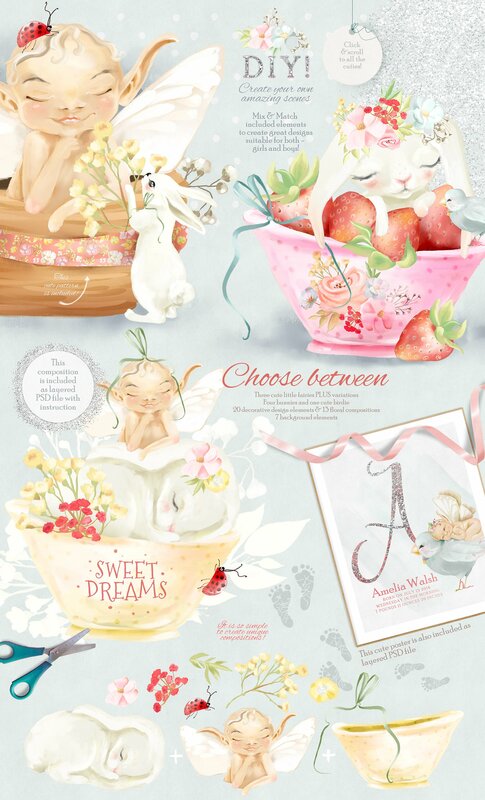 Create beautiful nursery decorations, baby-books, wall art and of course textile designs. All elements in the preview images are included!